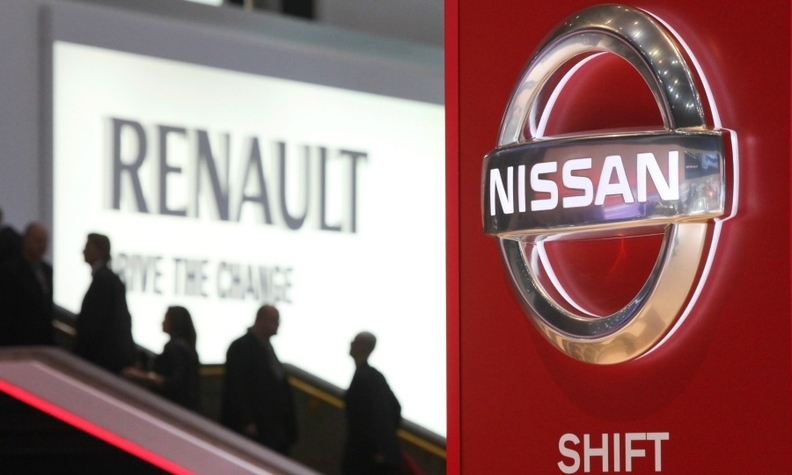 PARIS -- Renault and Nissan will increase cooperation within their alliance with the appointment of two new managers with responsibility for engineering and manufacturing, a person familiar with the matter said. The managers will coordinate between the teams at the carmakers responsible for the two areas and report to Renault Chief Competitive Officer Thierry Bollore and his Nissan counterpart Hiroto Saikawa, the person said, who asked not to be identified discussing the plans because they have not yet been announced. On Friday, the Nikkei business daily reported that the posts could be created as early as April. Under the planned structural change, Renault and Nissan will be able to build cars using shared parts at the same factories, the Nikkei said in its report. The automakers will adopt the new structure first at their joint factory in India in 2015, expanding to more than 10 countries by 2020, the Nikkei said. The alliance, which together owns nearly 50 factories worldwide, plans to bring Russian affiliate AvtoVAZ into the fold, the paper added. The move is part of an already announced plan to boost alliance savings to 4 billion euros ($5.5 billion) annually in 2016. Renault-Nissan saved 2.69 billion euros in 2012, up from 1.75 billion euros in 2011. The automakers hold cross-shareholdings in one another as an anchor of the partnership, which began in 1999. Noriko Yoneyama, a Nissan spokeswoman, and Bruno Moreau, a Renault spokesman, declined to comment.